Ron Paul questions Federal Reserve chairman Ben Bernanke during a hearing on the economy before the House Financial Services Committee in Washington, DC on February 27, 2008. 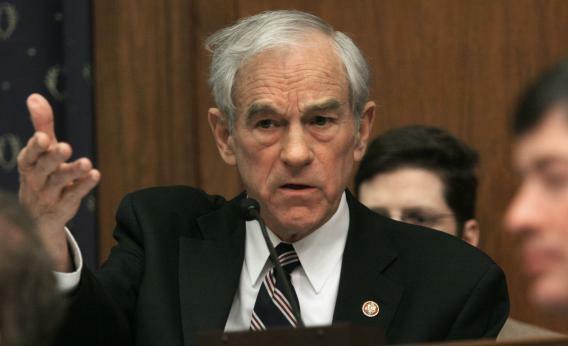 We gave Ron Paul a one-ounce round last January when we met him in Houston, TX at a Ludwig Von Mises event. He must be carrying it around in his pocket! We’re so honored to have the champion of sound money and presidential candidate, Ron Paul, holding our movie’s silver. The film now has a trailer. Well. Who do I contact for a screener?